Are you a small business owner in Sydney? Are you wondering what features you need on your site, or if you even need a website at all? Well, the answer is websites are relevant for the small and medium business you own in Sydney. Interestingly though, virtually fifty percent of small businesses do not own websites. According to the report, SCORE.org released in December of last year, only 51% of small businesses own a website. You may be holding out, only because you believe a site will not be essential to your particular business. To be fair, that may be accurate. 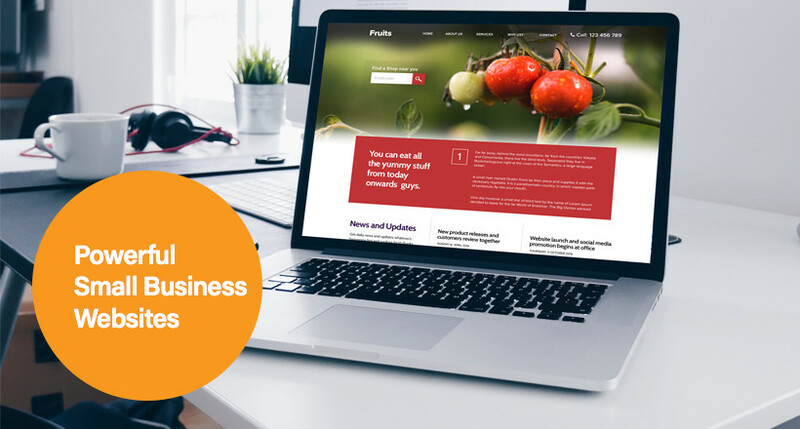 Nevertheless, according to a survey, many other small businesses stated their company website was vital to their business’s achieving success. To be specific, 59% claimed a site was significant. Your own website’s home page is the very first impression you give the internet concerning your business. Without a doubt, getting across your business’s brand image can be achieved via appealing visuals. Also by identifying what your small business does, whom it serves, exactly why it exists, and also why a customer ought to care. There are numerous creative tips on how to design your homepage. Nonetheless, it should consist of, at least, your logo, a brief description of your small business along with a navigation menu that guides users to various other crucial pages on your website. Also important, your website should contain responsive design features that guarantee it is as simple to see, and also get around on smaller sized screens, as well as traditional desktop computer. Whether or not your navigation menu gets larger across the top of your website or even in a sidebar, it has got to be an easy task for visitors to your site to locate. They also ought to contain logical categories which ensure it is easy for site users to discover the information and facts they seek out. Always bear in mind it is very likely for individuals to leave a website as a result of very poor navigation. Think about the best way to best structure your navigation menu, along with the categories, and also possibly subcategories, to contain common questions a new customer to your small business might ask. Ultimately, a clean navigation ought to make use of logical sequencing, and also titles that assist customers very quickly find the part of your website they ought to visit. Include things like a search box along with your site navigation menu, so your customers can insert in or type keywords and also phrases to locate the valuable information that they want when the navigation menu does not satisfy their particular needs. At any time potential customers insert content into the search box, they will be given relevant pages to visit, so they do not need to take care of their search manually. Take into account, the more content you have got on your website that handles almost all probable keywords, the significantly better the search box feature becomes. Regardless of the marketing benefits that a website deals and provides small businesses and also online customers, there are occasions when customers would like to connect with a human being. Your website ought to include the choice to connect through phone, email as well as at your physical location, in case you have one. The more you interact with potential customers online and also offline, the more you will sense patterns in the kinds of information potential clients seek, along with the inquiries that surface with regards to your products or services. Make available a page of regularly asked questions as well as their answers on your website to ensure it is less difficult for customers to come across the detailed information they need. Men and women will likely be looking at your site on their laptops, computers, smartphones, and also tablets. It is critical that your official site be mobile-friendly or even responsive. There are two ways to achieve this. One is to develop an independent website that is going to have a URL comparable to your site. These sites are built exclusively for mobile devices and also require a separate internet site, URL, host, domain, and so on. The number two alternative is to make use of a web development platform which will instantaneously adjust the website to the device. This is a considerably less expensive option if it is on the market. The most significant thing, nonetheless, would be to make certain that your website is mobile friendly because Google is currently giving preference in ranking to websites that happen to be responsive. The starting point would be to draw visitors to your website. After they are there, they are going to be assessing you together with your business. What can you offer them? What makes you much better than another person in your area of specialization? Why should they pick you? Have other individuals had success with your business? One of the most effective means for people to find out more about you is to read through reviews and also testimonials from your clients. Reading through great reports from your present or previous customers will go a long way in compelling others to give your products and services a try.